Keith and Kris's indoor cat, Oscar, had quite the wild ride recently. 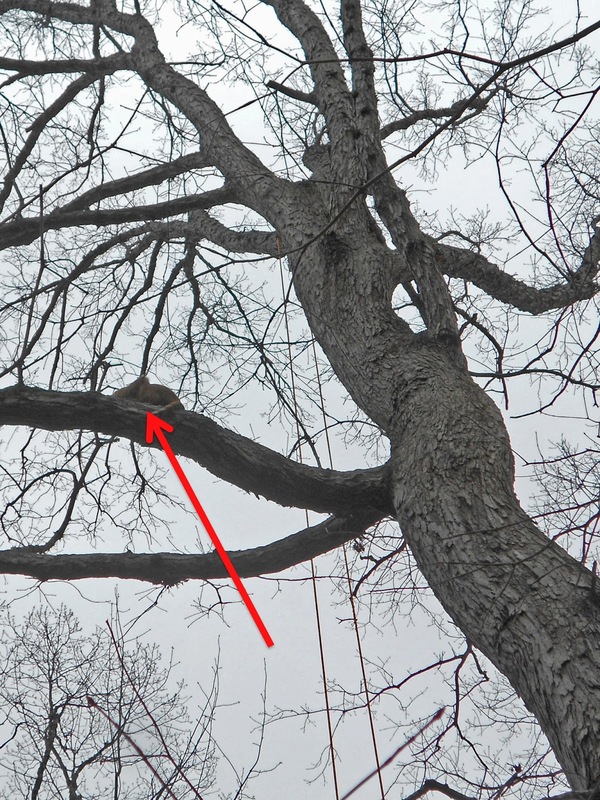 Oscar got out on Tuesday, but it wasn't until Friday night that Keith heard his cries and found him 30 feet up an oak tree two yards away. I went out the next day and found what seemed to be a straight forward rescue scenario - tame cat ("good with strangers"), hanging out near the trunk, half way up a sturdy oak tree with plenty of branches above for tie in points. Alas, Oscar's rescue was another example of why no cat rescue is ever routine. The climb was open and easy and I was soon getting to Oscar's level 30 feet up the tree. As I got close, Oscar started toward me from the mid part of the branch. How easy can it get I thought. Before I could finish the thought, though, Oscar went to the other side of the trunk and jumped head first 30 feet to the ground with not so much as a whimper. Oscar ran around a neighbor's house with Keith in hot pursuit. Keith got a hold of him but lost his grip and Oscar ran into a concrete drainage tube under a neighbor's driveway. Meanwhile I was gathering all my gear and getting ready to head back to my car, when Keith and Kris's neighbor asked if they could use the cat bag to grab Oscar as they pushed him out one end of the culvert with a long pole and a garbage bag stuffed with fallen leaves. As soon as they blocked the light at one end of the culvert with the leaf bag, Oscar got spooked and shot out the open end. He ran toward his house, climbed another tree and jumped onto the roof. Keith took the cat bag onto the roof, calmed Oscar down at the back corner of the roof, and got him into the cat bag. Keith let Oscar out of the bag in the laundry room at the front of the house, and as I left I saw Oscar sitting on the window sill of the laundry room as if nothing at all had happened.